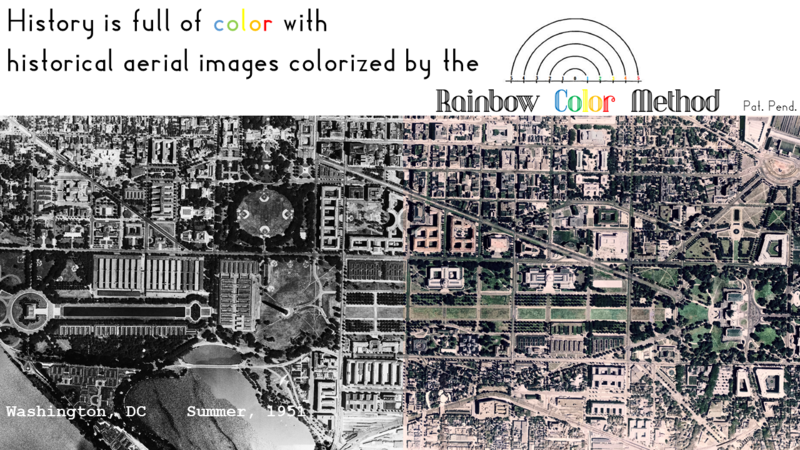 The Rainbow Color Method works based on the principal that for every historical image acquired in the US, there is a current color image of the same area that can be obtained at no cost. In the modern color image, some features will be the same as those in the historical image and others will be different (please see the pictures below). The algorithm identifies features that have remained the same and then uses a variety of techniques to obtain color information from these features and apply them to similar or identical features in the historical image. A number of procedures are then performed in order to make the colorization more realistic. 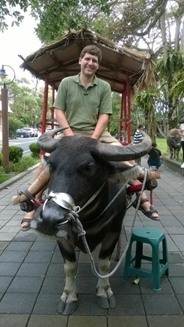 It relies heavily on computer processing rather than human labor. 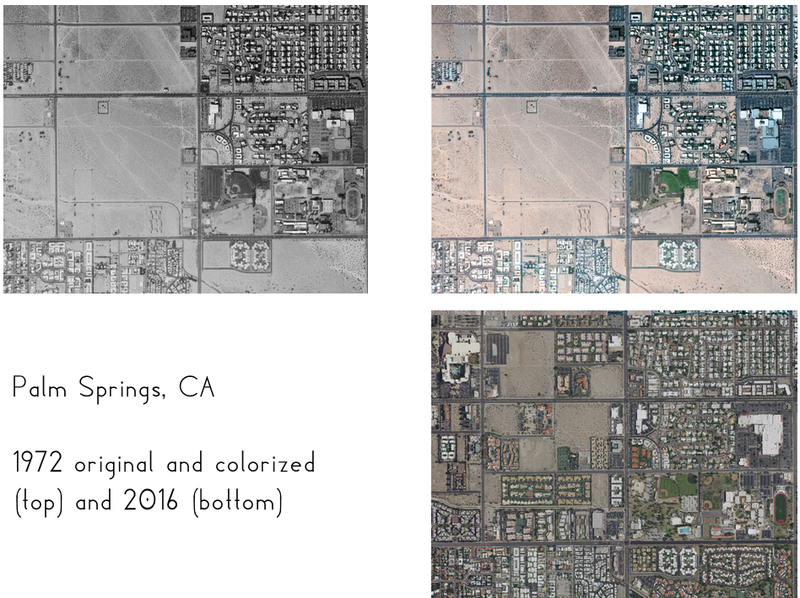 This enables even large areas to be colorized efficiently. The methodology can handle areas with a lot of change well, and it has been tested in multiple environments. The output files typically have a resolution of 1m and contain referencing information so they can be used in a GIS. 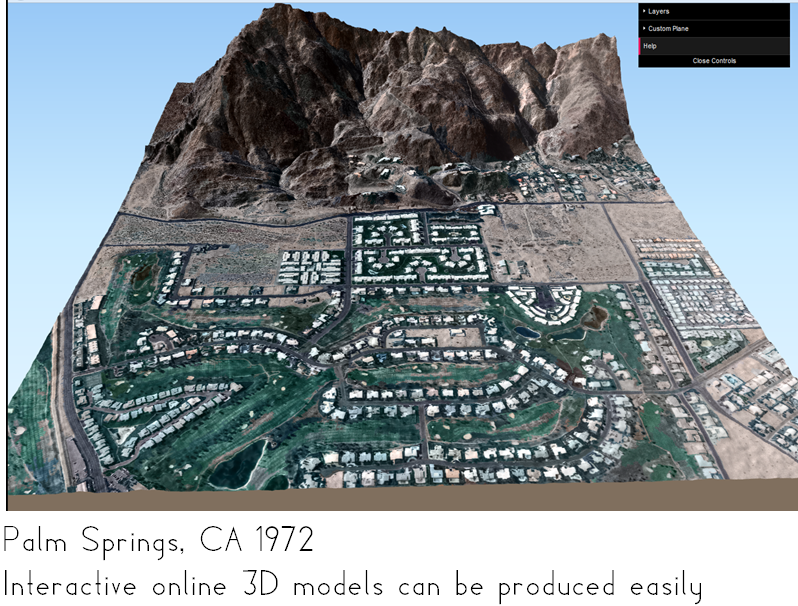 Historical imagery dating back to the 1950s or earlier is available for the entire US. The Rainbow Color Method was created by Zack Bortolot, an Associate Professor in the Geographic Science Program at James Madison University. It is the culmination of approximately five years of research, and he hopes that the colorized images produced using the technique lead to more people understanding and appreciating changes that have taken place in the past and bring enjoyment to many people. If you would like to obtain larger samples of colorized imagery, would like to inquire about obtaining colorized imagery or a colorized interactive 3D model of an area of interest to you or your organization, or if you would like to share our dream of bringing colorized imagery to the world by partnering with us we would love to hear from you. Please use the contact form to send us a message. Copyright (C) 2017 Zachary Bortolot. All rights reserved. Several files are available for viewing in Google Earth as overlays. 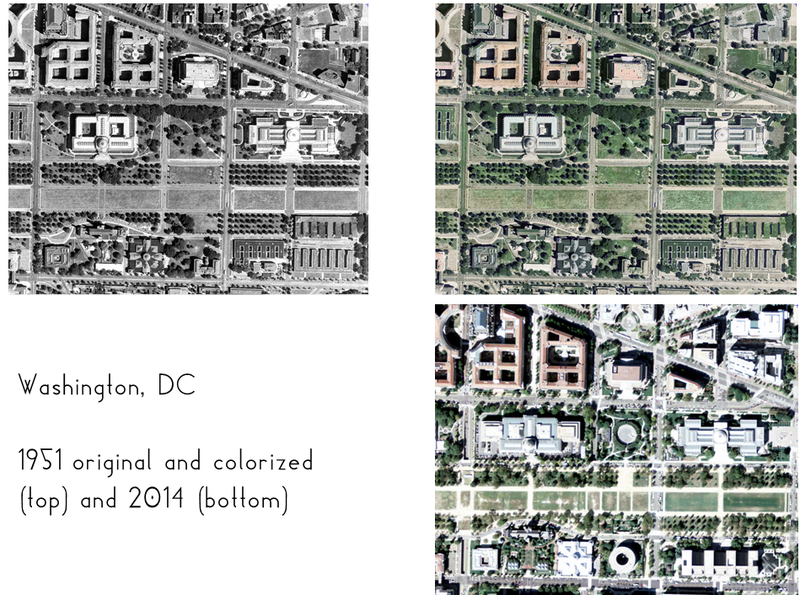 This enables users to zoom in and out of features and to compare current imagery to the colorized images. To view these files, Google Earth for Desktop must be installed. 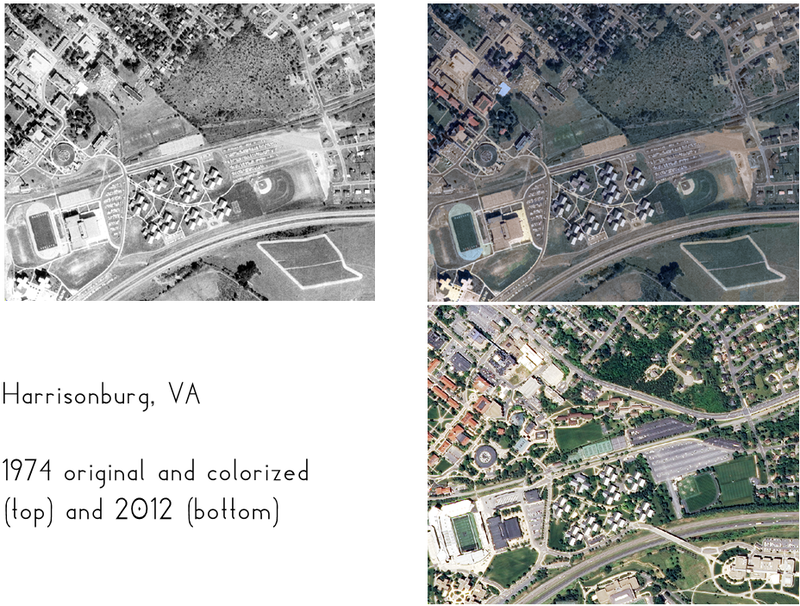 Please note that due to compression, Google Earth Overlays are not as sharp as the original colorized images. Please click on the links below to download. After downloading, double click on the .KMZ file to load in into Google Earth. Please use the contact box below to send us a message. We would love to hear from you! If you would like to receive updates from us, just send us a message indicating that you would like to join the mailing list.